The "Internet Radio" feature to stream from hundreds of suggested URLs around the world, and allowing me to add my own URL for a stream, is gone from iTunes 12.7. Did Apple move this feature to a different place in the user-interface, yet again? Or did Apple remove this feature altogether? 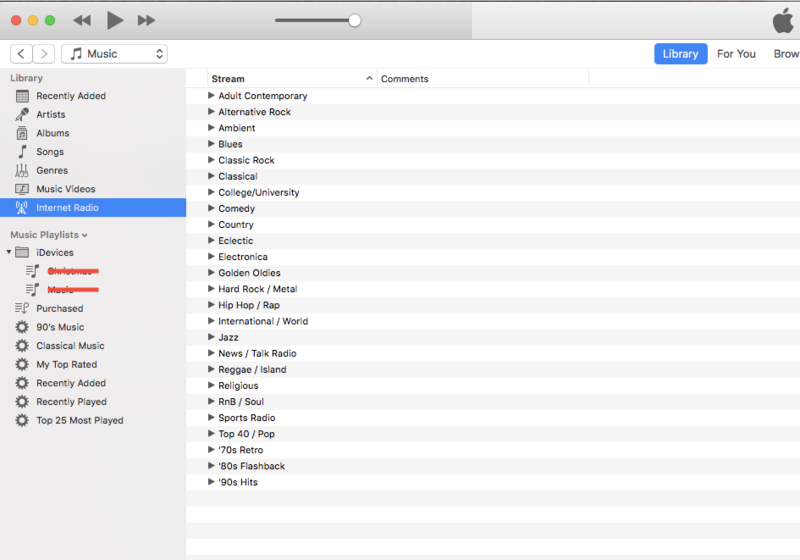 The traditional "Internet Radio" feature is not gone from iTunes 12.7. The feature for offering free for all internet radio streams was not removed from the application but may be hidden and is now named competitively with another "Radio" feature within iTunes. Check Restrictions for Traditional "Internet Radio"
Obviously, the checkbox under Disable: Internet Radio needs to be off. The first "Library Sidebar" for "Music" in its default state is simplified: without Internet Radio visible. And you do not see how to customise it until you hit an invisible spot to the right of the sidebar section title called "Library" when your sidebar is set to display "Music". Hovering to the right over an apparently empty spot then reveals an "Edit" option where you can then activate the "Internet Radio" setting. Click "Done" if you are done with your customisations in the same spot to re-hide that user-confuser and traditional "Internet Radio" will be in your sidebar again. That gives you the old big list with a tree structure to choose from. Opening a custom stream is accomplished by entering the URL in the box that appears when pressing Command+u or choosing the menu item File > Open Stream. Adding this permanently seems not possible. But again: right-clicking into the info area (The Apple logo in the picture) reveals the option to "Create Station". Interestingly you can also create playlists with those streams to get them organised to your liking. 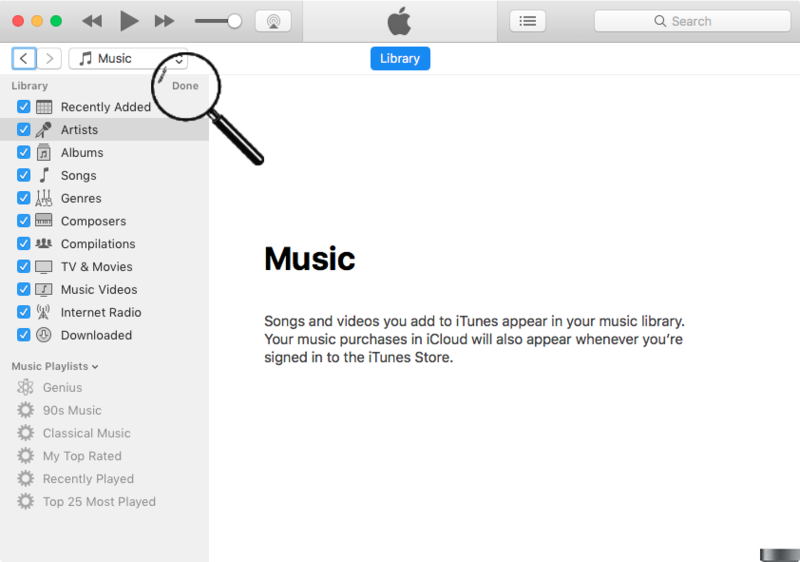 The new "Apple Music"-"iTunes Store"-"Radio"
Possible restrictions for that are in iTunes Preferences as a subset under "iTunes Store" and a part of "Apple Music". I still have the "Internet Radio" in iTunes 12.7 – I'm in the screenshot below using an US Apple ID, and I can confirm that I also have the "Internet Radio" with my Danish Apple ID – maybe you just need to re-add the menu item? Not the answer you're looking for? Browse other questions tagged macos itunes mac streaming itunes-radio .